In 2013 the destination obtained US$3,060,000 in advertising return on investment, a number that tripled to US$9,870,000 in 2014, representing an increase of 222%. The Riviera Nayarit’s brand presence and positioning as a viable destination for Brazil increased considerably in 2014 thanks to the public relations strategies of the Riviera Nayarit Convention and Visitors Bureau (CVB). The return on investment obtained through exposure in the media is a very tangible metric. In 2014, the value of that exposure reached 9.87 million dollars’ worth of diffusion, triple the amount from the previous year’s US$3,060,000. Percentage-wise it represents an increase of 222%. This increase can be traced back to the intense involvement with the press via releases and daily communiqués, as well as participation in TV shows that were aired throughout the year such as TV Globo, Terra Da Gente and Viajar Pelo Mundo. There were five press trips to the destination, two of which were independent, resulting in visits from 15 journalists. This generated 258 placements in the press and 51.5 minutes on the air in radio and television. As far as public relations strategies in Brazil the measurements for ROI are in cm2 as opposed to impressions obtained via circulation; in this case, there were 302 thousand cm2 published in relation to the Riviera Nayarit. Social media strategies were also implemented. The Facebook, Twitter and Instagram accounts are fairly new for this market, however, from 2013 to 2014 there was marked growth in this sector and the trend is expected to continue for 2015. 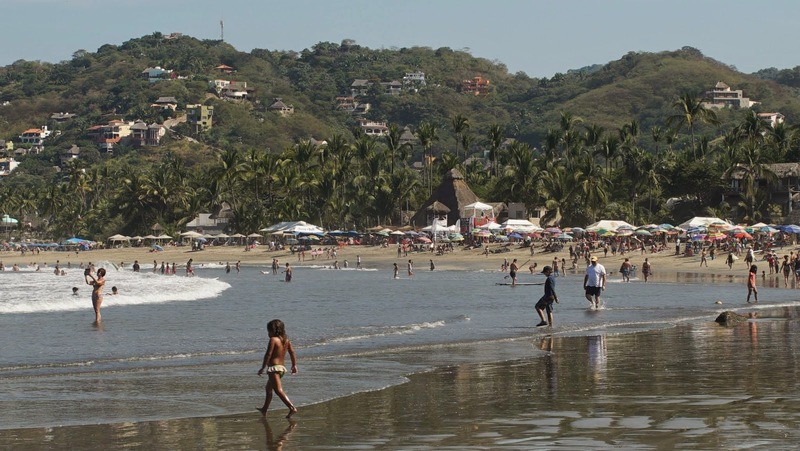 These general stats prove every cent invested in promoting the tourism of the Riviera Nayarit in the Brazilian market has been right on target. This is undoubtedly a market with high purchasing power and a clear interest in the attractions offered by this destination.